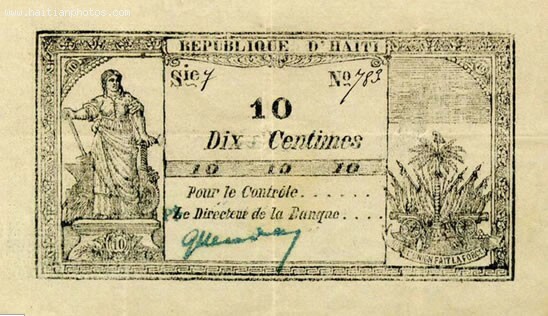 Here is a rare picture of a Haitian currency back in the time. The Haitian money system, their currency or the Haitian gourde has changed repeatedly over the years. In 1846 and yet again in 1850 they minted a 6.00 centime.